I happened to overhear a conversation between two of my drama students- they were supposed to present T.S. Eliot’s work in English that day, and they thought his poems were both boring and unintelligible. I interjected, and suggested that they look at him from a modern cultural standpoint-how have his poems affected and continue to influence modern culture? They seemed less than amused until I suggested that they look at modern music that might use, or be inspired by, his poetry. At the end of the class they told me they were going to spend lunchtime researching my suggestions; their curiosity was piqued, and so was mine. It turns out that there is quite a lot of modern culture that is influenced by T.S. Eliot, who lived from 1885 to 1965; he was a poet, playwright and publisher. His most notable poems were: The Love Song of J. Alfred Prufrock, The Waste Land, and The Hollow Men. Born in the United States, he moved to Britain the year of the First World War. Like many great poets, his influence in modern culture survives him. Eliot penned a book of light verse entitled, Old Possum’s Book of Practical Cats in 1930. Fifty-one years later, Andrew Lloyd Webber would compose and produce a musical based on these verses entitled, Cats. He claimed Eliot’s verse was a childhood favourite. It still is Broadway’s second longest running show in history. The accomplished Canadian singer, Sarah Sleen, is in good company when she sings, Eliot– about T.S.Eliot. Sharing her company are: The Crash Test Dummies, Genesis, Van Morrison, Switchfoot, Bush and Devo to name but a few. 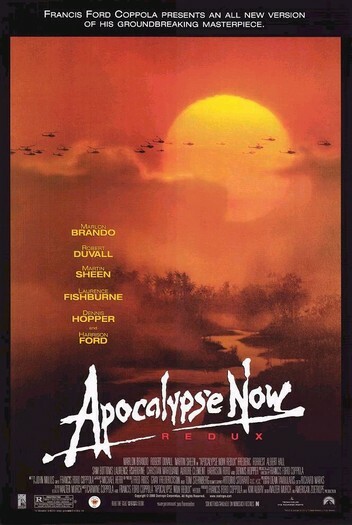 Francis Ford Coppola’s Apocalypse Now is rich with Eliot references, from Colonel Kurtz who quotes The Love Song of J. Alfred Prufrock, to the American photojournalist who is stranded in Kurtz’s camp and quotes The Hollow Men. In 2005 renaissance creator Chris Marker made a 19 minute multimedia piece for the Museum of Modern Art entitled, Owls At Noon Prelude: The Hollow Men, which was influenced by T.S. Eliot. And if the inundation of Eliot’s influence on modern music, literature, and film isn’t enough to establish his importance on modern culture one need only look to the modern world of computer games. The Halo 3 Soundtrack has a reversed version of The Hollow Men. Even the youth of today are exposed to Eliot-whether they like it- or not. This entry was posted in 1900-1914, 1920s, Art, Education, historical, media, music, poetry, World War One and tagged Andrew Lloyd Webber, Apocalypse Now, Cats, Dark Tower, Francis Ford Coppola, Halo 3, Old Possum’s Book of Practical Cats, Sarah Sleen, Stephen King, T.S. Eliot, The Hollow Men, The Love Song of J. Alfred Prufrock, The Wasteland. Bookmark the permalink. I am interested in Eliot and the modern culture, thanks for your inspiring article, I learned a lot.